The Board of Directors and the Strategic Council of the American Institute of Architects (AIA) voted today to award the 2018 AIA Gold Medal to James Stewart Polshek, FAIA. The Gold Medal honors an individual or pair of architects whose significant body of work has had a lasting influence on the theory and practice of architecture. Born 1930 in Akron, Ohio, Polshek earned a Master of Architecture degree from Yale in 1955. In 1963 Polshek started his first architecture firm, James Stewart Polshek Architect. 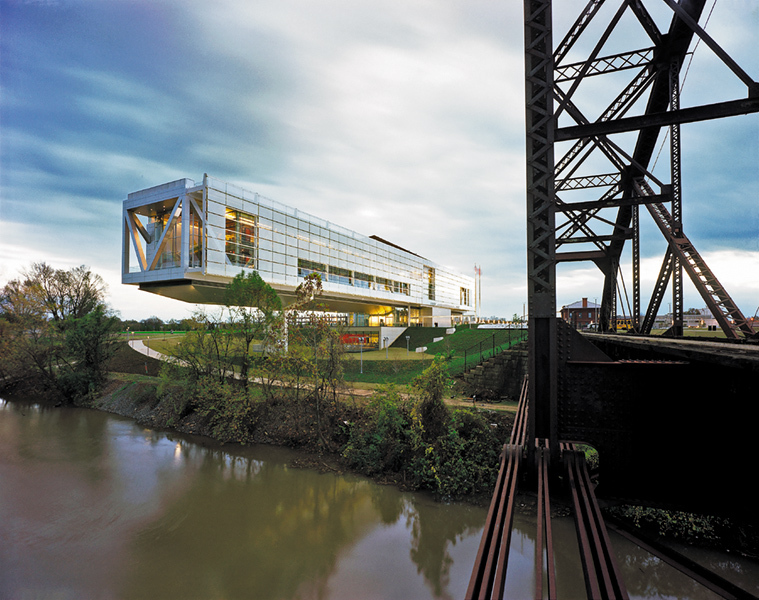 His firm evolved through multiple iterations – settling in 2010 on Ennead Architects. Polshek has fostered an environment wherein design excellence, effective collaboration and rigorous research work in concert to create enduring architecture. His unparalleled vision and leadership has earned the firm countless accolades, including more than 200 design awards, the 1992 AIA Architecture Firm Award, and 15 National Honor Awards for Architecture. 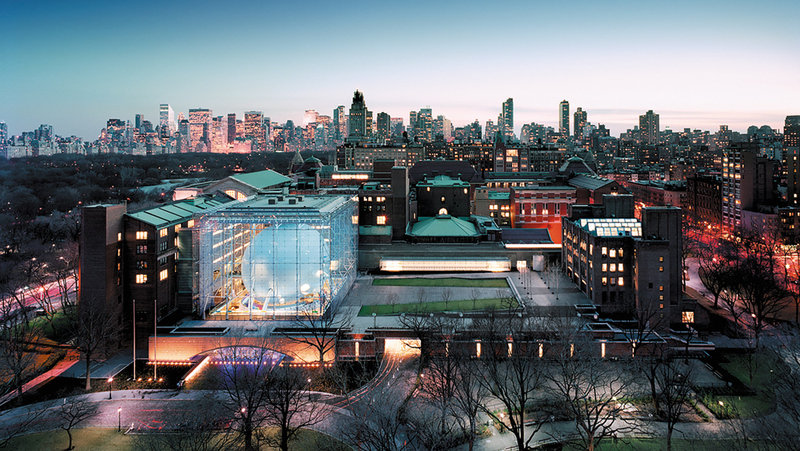 Concurrent to leading one of the nation’s most recognized firms, Polshek served as dean of Columbia University’s Graduate School of Architecture, Planning and Preservation from 1972 to 1987. At the time, Columbia played a central role in the debate over style and meaning during a period in which architecture was being fundamentally questioned. His collaborative spirit led to a complete revision of the school’s curriculum and direction that, in turn, reversed its decline and attracted world-class faculty. Polshek’s 1987 restoration and renovation of New York’s Carnegie Hall began with a master plan that helped establish his enduring approach to revitalization. A complete restoration of the hall’s original details as well as the implementation of new ones – lighting, graphics, and a new marquee – were coupled with a heavy dose of advocacy for landmark buildings threatened by market forces. 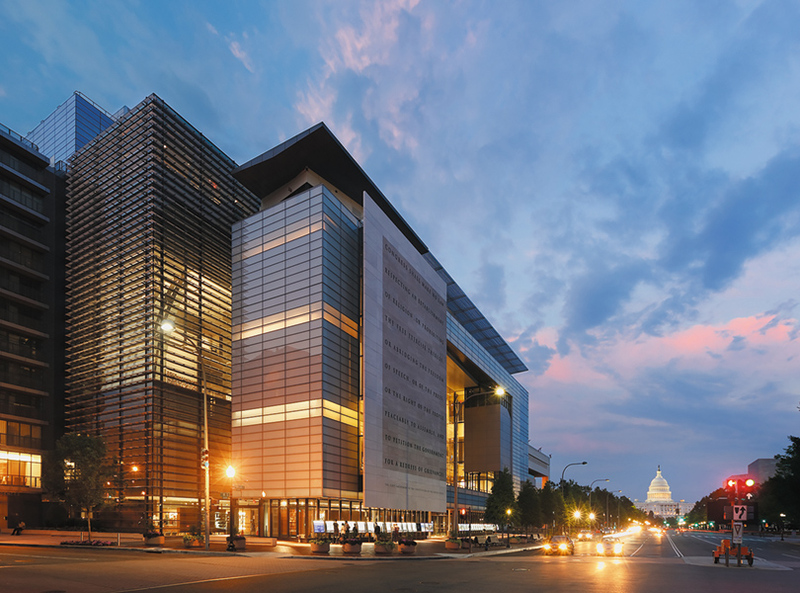 In Washington, D.C., the 645,000-square-foot Newseum / Freedom Forum Headquarters, completed in 2008, is a monument to journalism and free speech. It features the 45 words of the First Amendment to the U.S. Constitution, etched into a four story tall stone panel facing Pennsylvania Avenue. The architectural expression of the institution’s mission manifests in a symbol of openness: a 4,500-square-foot clear glass “window on the world”, which looks out on Pennsylvania Avenue and the National Mall while letting the public see inside to the visitors and displays. Polshek’s National Museum of American Jewish History in Philadelphia, just a block from Independence Hall, historic building in which was signed the United States Declaration of independence in 1776 and the U.S. Constitution in 1787. Museum references the immigrant experience in America through two interlocking volumes of opaqueness and transparency. The museum’s high-profile historical context bolsters its efforts to inspire people of all backgrounds. 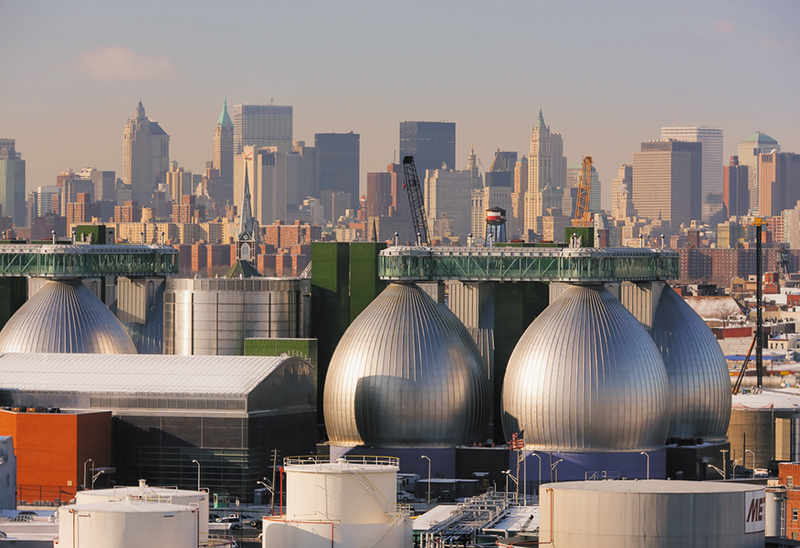 Also among the important projects created by Polshek during his long professional life American Museum of Natural History, Rose Center for Earth and Space, 2000; William J. Clinton Presidential Center and Park, 2004; Newtown Creek Wastewater Treatment Plant in New York, 2007–2010, and many others. Polshek’s sensitivity as an architect and his willingness to give credit to others – whether they be his clients, staff or collaborators – have helped restore the promise that architecture can be an uplifting force in the world. Everywhere that he has worked, and throughout his eloquent writings, he has raised the level of discussion while pursuing an unambiguous goal of architecture as a healing art. Polshek is the 74th recipient of the Gold Medal. He joins the ranks of such visionaries as Frank Lloyd Wright (1949), Louis Sullivan (1944), Le Corbusier (1961), Louis I. Kahn (1971), I.M. Pei (1979), Thom Mayne (2013), Julia Morgan (2014), Moshe Safdie (2015), Denise Scott Brown & Robert Venturi (2016), and Paul Revere Williams (2017). In recognition of his legacy to architecture, Polshek’s name will be chiseled into the granite Wall of Honor in the lobby of the AIA headquarters in Washington, D.C.